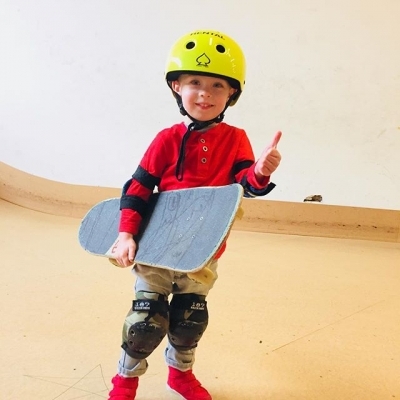 Learn skateboarding from one of our professionally trained coaches in a safe, unintimidating environment. Private lessons are offered for all ability levels and ages. This is the most effective way to learn proper techniques, but also increase skills quickly and safely. The 30 minute lesson is a great starting point for kids 7 years old and under. They are more likely to stay engaged for the whole lesson and work towards building endurance. 60 minute lessons are ideal for most skaters 8 years old all the way up to adult. This lessons time can also be shared by 2 family members or friends.